Keep your dog hydrated during a search, training or casual hike. The bottle Includes a lanyard, which you can hang from your pack with a clip for easy access. 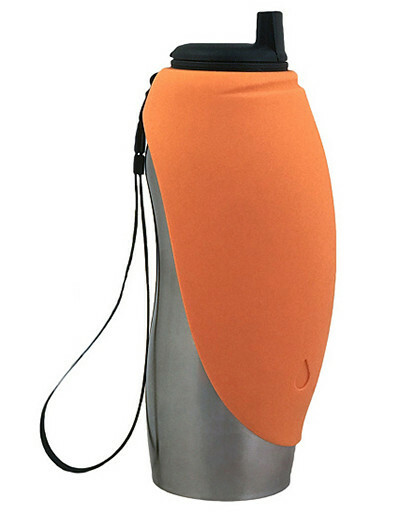 Attached to the bottle is a food-grade silicon cover which folds into a water bowl. Simply open the push button closure for water to pour directly into the bowl. Stainless steel bottle: 4" x 3-1/2" x 9"